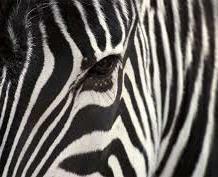 A US county judge in Arkansas has been hospitalised after being attacked by a pet zebra. KATV reported that city attorney Buck Gibson said that while owning a wild animal within the city limits of Searcy is illegal, it may be a grandfather clause stating wild animals were already on the property before the annex making the Derrick family’s ownership of a zebra in Searcy legal. by Ken 27/03/2015 11:29:36 a.m.
it is tempting to blame the Zebra here but I suspect in reality what happened is not nearly so black and white.